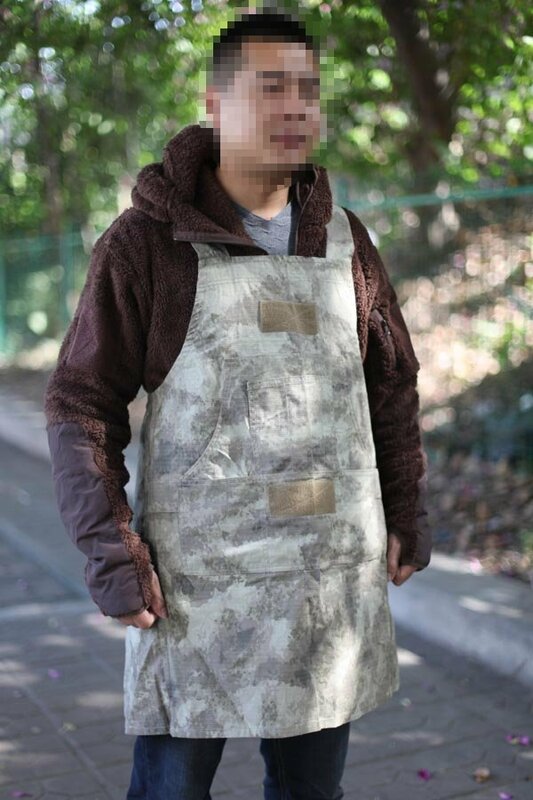 Yup, that's EBAirsoft's "G Weekend Warrior Camo Workshop Pinafore". What's a pinafore? A thinly veiled (speaking of veils, I hear that's their next product to be released) term for an apron. Why would anyone ever need an A-TACS Apron? Your guess is as good as mine.